Clean & deeply hydrate thirsty hair with Herbal Essences Hello Hydration Collection. 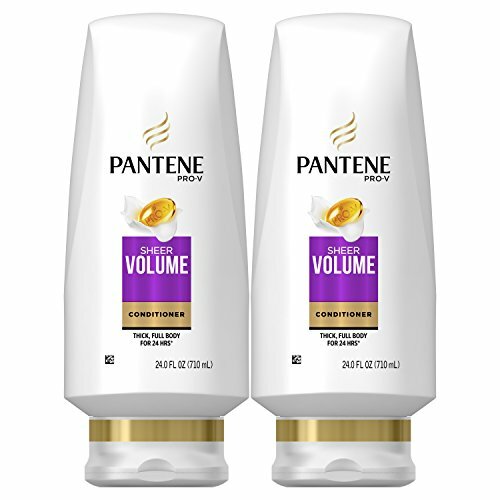 With creamy notes of coconut, this color-safe, pH-balanced shampoo has 0% parabens, gluten or mineral oil. Gentle enough for daily use. Goodbye, oil. Head & Shoulders Instant Oil Control Anti-Dandruff Shampoo effectively controls excessive oils on hair and scalp to keep your hair looking fresh and healthy. Formulated by America s #1 dermatologist recommended brand, this shampoo leaves your hair with the essences of bright mango and citrus, and it protects from flakes, itch, oil and dryness. * So no more flakes. * And no more holding back. *flakes, itch and dryness associated with dandruff, with regular use washes away oil and flakes Regular use of Head & Shoulders anti dandruff products nourish your scalp three surface layers deep to prevent dryness, flakes and itch, associated with dandruff. The Head & Shoulders collection includes clarifying shampoos, volumizing conditioners, and 2 in 1 combos, so you can introduce dandruff treatment to every step of your hair care routine. 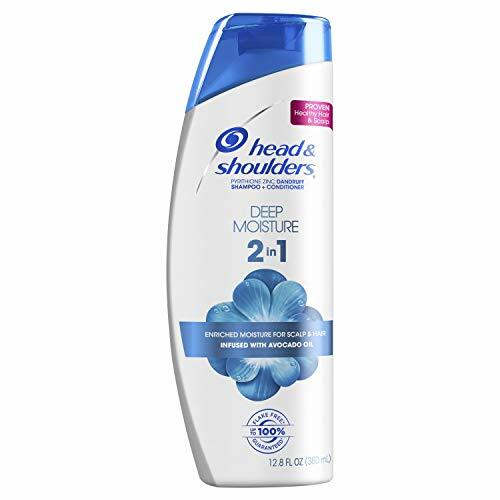 With a pH-balanced formula brought to you by America's #1 dermatologist recommended brand, you can count on Head & Shoulders to combat seborrheic dermatitis, and other irritable and itchy scalp conditions associated with dandruff. Head & Shoulders products come in a variety of scents and formulas, and include ingredients like almond oil, tea tree oil, lemon extract, and peppermint. The shampoo & conditioner system are safe to use on color treated, curly or textured hair types, compared to a non-conditioning shampoo. 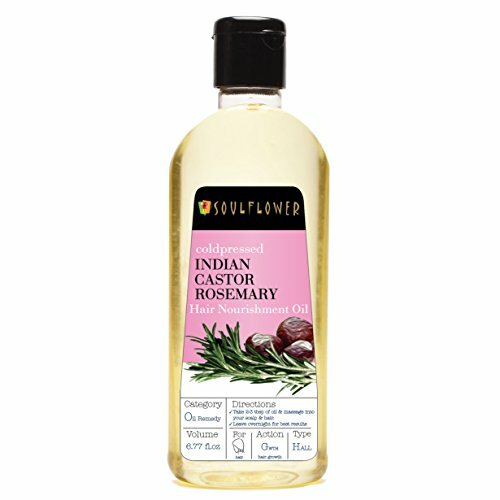 Soulflower Indian Cold-pressed Castor Rosemary Hair Nourishment Oil is a premium grade oil perfect to be used in winters as the scalp is most dried out during this time. Traditionally known for its therapeutic action on hair and scalp, it moisturizes hair from the roots, gives total nourishment to your dry and damaged hair and restores frizzy hair, split ends. It is pure, natural and vegan hair nourishment oil from Soulflower. 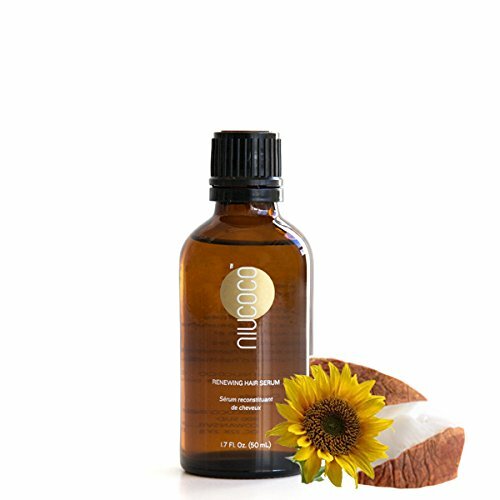 The oil comprises of omega- 6 and 9, essential fatty acids and nutrients, which give it a unique moisturizing property that is ideal for maintaining healthy hair. It improves the blood circulation to hair follicles which eliminates dry, flaky scalp, promoting nourished scalp and healthy shiny hair. PURE, VEGAN, COLD PROCESSED INDIAN AYURVEDIC FORMULATION: It contains Pure Ricinus Communis (Castor) Seed Oil and Rosmarinus Officinalis (Rosemary) Leaf Oil. All Soulflower products are cruelty-free. Being natural and pure, this oil might freeze in extreme weather conditions. NATURAL MOISTURIZER FOR WINTER: Soulflower Indian Castor Rosemary Hair Nourishment Oil is cold pressed from pure Castor Seeds and Rosemary herb that are collected from organic local sources. It's a collection of ancient Indian remedy with nutrients and vitamins. It is a natural moisturizer for the hair and scalp. An ideal oil to nourish dry scalp during winters. AMAZING BENEFITS: Castor Seed Oil is a natural emollient containing almost ricinoleic acid, an antibacterial agent that conditions your hair, boosts scalp health, controls hair loss and restores split ends, dry, frizzy, damaged hair making it richer and darker. Rosemary Herb Oil tones, conditions & strengthens scalp, clears hair follicles & removes dandruff. It also cleanses scalp and restores damaged hair. DISCOVER BEAUTY THE NATURAL WAY: Natural and Pure Ingredients. Cruelty-free. Made in India with expertise of 2 decades. No Sulfates. No Parabens. No Phthalates. With every product you buy we feed one stray animal in the streets of India. APPLICATION: Take a small amount of Soulflower Cold Pressed Castor Rosemary Hair Nourishment Oil and massage directly on your scalp and hair. Blend 4-5 drops of any Soulflower Essential Oil in a teaspoon of Castor Rosemary Hair Nourishment Oil & apply for additional benefits. Give dry scalp the TLC it deserves with Head & Shoulders Dry Scalp Care Anti-Dandruff Shampoo. The formula nourishes your scalp three surface layers deep to help prevent dryness, flakes and itch. * With a pH-balanced formula brought to you by America s #1 dermatologist recommended brand, your hair has never been in better hands. Use this almond oil-infused shampoo in your haircare routine to help you say goodbye to flakes, itch, irritation and holding back. *dryness, flakes and itch associated with dandruff, with regular use flakes, itch, and irritation associated with dandruff, with regular use Regular use of Head & Shoulders anti dandruff products nourish your scalp three surface layers deep to prevent dryness, flakes and itch, associated with dandruff. The Head & Shoulders collection includes clarifying shampoos, volumizing conditioners, and 2 in 1 combos, so you can introduce dandruff treatment to every step of your hair care routine. With a pH-balanced formula brought to you by America's #1 dermatologist recommended brand, you can count on Head & Shoulders to combat seborrheic dermatitis, and other irritable and itchy scalp conditions associated with dandruff. 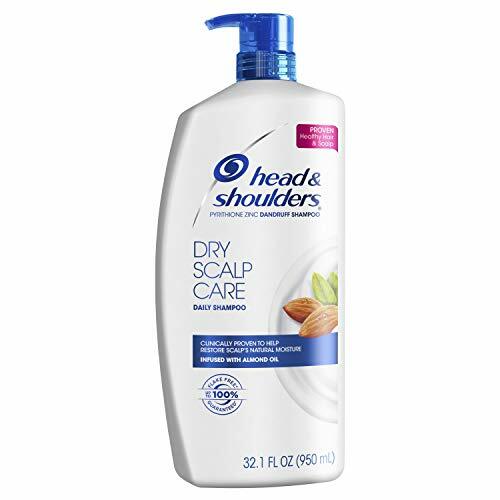 Head & Shoulders products come in a variety of scents and formulas, and include ingredients like almond oil, tea tree oil, lemon extract, and peppermint. The shampoo & conditioner system are safe to use on color treated, curly or textured hair types, compared to a non-conditioning shampoo. Shrug off those pesky flakes* and refresh your look with Head & Shoulders Green Apple Anti-Dandruff Shampoo. This rich-lathering formula delivers 100% flake-free protection together with the bright scent of fresh green apples and is brought to you by America s #1 dermatologist recommended brand. Add Head & Shoulders Green Apple Shampoo to your daily routine to get flake-free hair and the unstoppable feeling of confidence that goes along with it. *associated with dandruff up to 100% visibly flake-free, with regular use Regular use of Head & Shoulders anti dandruff products nourish your scalp three surface layers deep to prevent dryness, flakes and itch, associated with dandruff. The Head & Shoulders collection includes clarifying shampoos, volumizing conditioners, and 2 in 1 combos, so you can introduce dandruff treatment to every step of your hair care routine. With a pH-balanced formula brought to you by America's #1 dermatologist recommended brand, you can count on Head & Shoulders to combat seborrheic dermatitis, and other irritable and itchy scalp conditions associated with dandruff. Head & Shoulders products come in a variety of scents and formulas, and include ingredients like almond oil, tea tree oil, lemon extract, and peppermint. The shampoo & conditioner system are safe to use on color treated, curly or textured hair types, compared to a non-conditioning shampoo. Cantu Coil Calm Detangler - Every day, there are people out there embracing their natural, beautiful, textured hair and owning their unique style. Our collection of award-winning products made just for textured hair is all you need to achieve any look or style you want. CANTU COIL CALM DETANGLER softens and conditions hair for easy, tangle-free styling. FREES TANGLES: Adds slip for soft, tangle-free hair to make styling easy and painless. MOISTURIZES: Made with pure Shea butter to infuse shine and moisture in seconds. 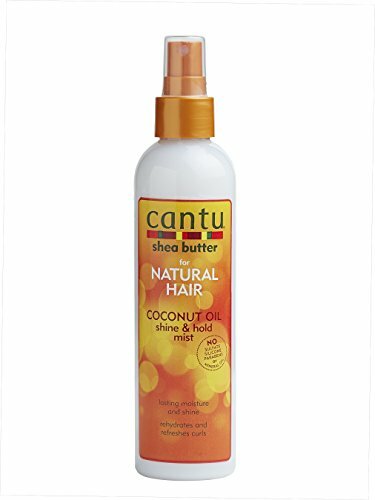 Cantu Shea Butter Super Shine Hair Silk - Every day, there are people out there embracing their natural, beautiful, textured hair and owning their unique style. Our collection of award-winning products made just for textured hair is all you need to achieve any look or style you want. CANTU SUPER SHINE HAIR SILK is great for relaxed, texturized, colored and permed hair. PREVENTS BREAKAGE: Prevents breakage and repairs split ends. Made with pure Shea butter to replace vital moisture revealing stronger, healthier hair with a natural shine. 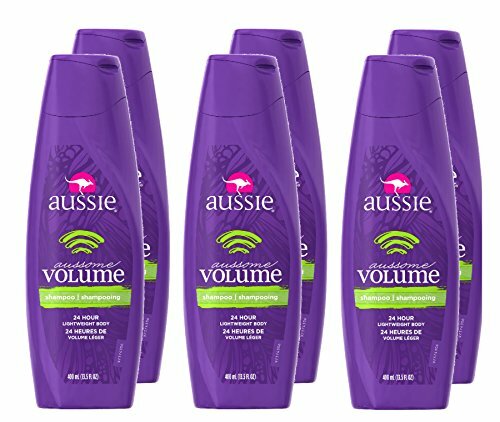 Looking for a 2-in-1 shampoo that adds extra moisture to dry, dull hair? Look no further than Head & Shoulders Deep Moisture 2in1 Shampoo. 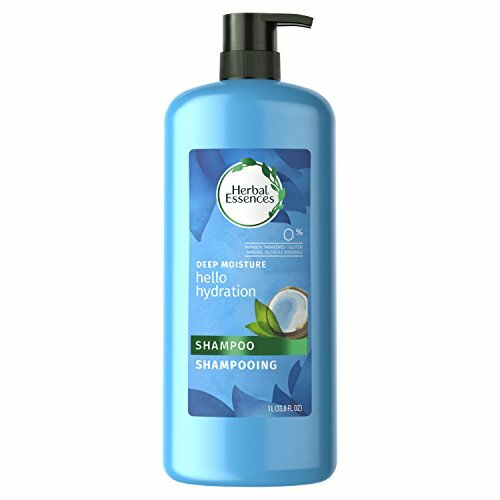 Head & Shoulders Deep Moisture 2in1 Shampoo nourishes hair with added moisture to leave hair touchably soft and shining. Plus, Head & Shoulders is the number one anti-dandruff shampoo recommended by dermatologists so you know your hair will be up to 100% flake-free. * *visible flakes; with regular use Regular use of Head & Shoulders anti dandruff products nourish your scalp three surface layers deep to prevent dryness, flakes and itch, associated with dandruff. The Head & Shoulders collection includes clarifying shampoos, volumizing conditioners, and 2 in 1 combos, so you can introduce dandruff treatment to every step of your hair care routine. With a pH-balanced formula brought to you by America's #1 dermatologist recommended brand, you can count on Head & Shoulders to combat seborrheic dermatitis, and other irritable and itchy scalp conditions associated with dandruff. 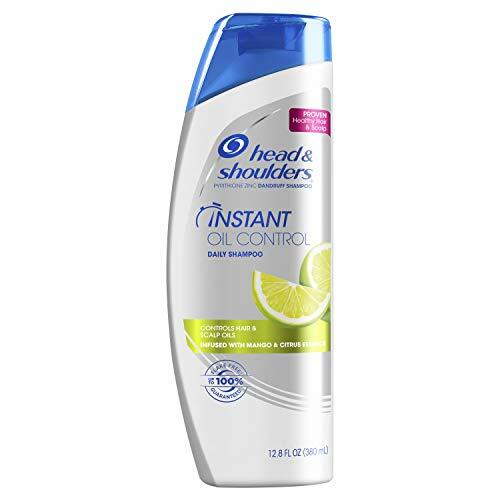 Head & Shoulders products come in a variety of scents and formulas, and include ingredients like almond oil, tea tree oil, lemon extract, and peppermint. The shampoo & conditioner system are safe to use on color treated, curly or textured hair types, compared to a non-conditioning shampoo. Ideal for flat hair in need of a lift. It's also great for all hair types. CANTU CARE FOR KIDS STYLING CUSTARD is specifically formulated for the needs of kids with textured hair. Made with no mineral oil, sulfate, parabens, silicones, phthalates, gluten, paraffin or propylene. 100% VEGAN, CERTIFIED CRUELTY-FREE, SULFATE-FREE, PARABEN-FREE, PHTHALATE-FREE, AND... GLUTEN-FREE!